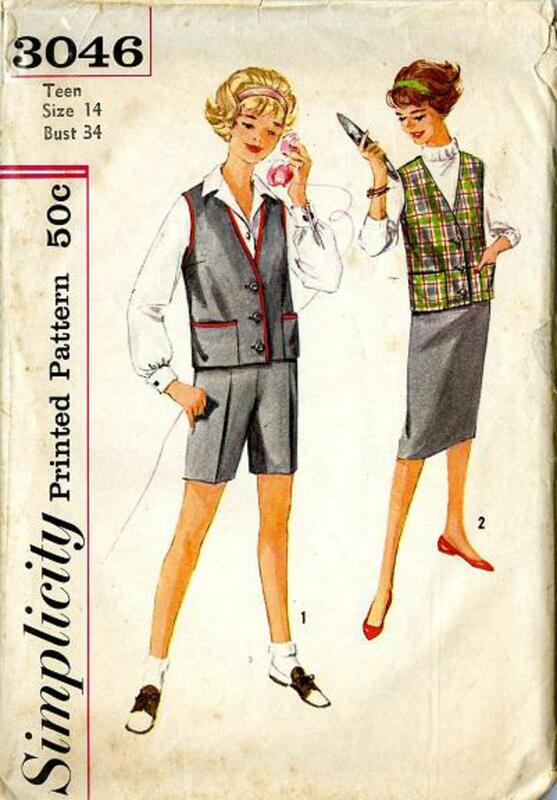 1959 Simplicity #3046 vintage sewing pattern, teen age sleeveless jacket, shorts and skirt. 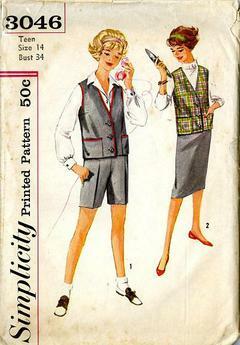 Sleeveless jacket has V front neckline, rounded back neckline, front button closing and patch pockets. Shorts have waistline darts, side zipper closing and optional pockets in right side seam. Slim skirt has back kick pleat.